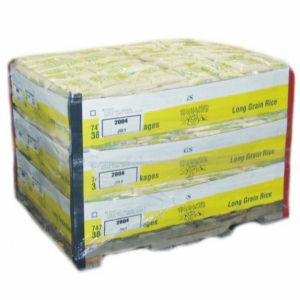 504 bags of 3 pound Faraon Extra Fancy Long Grain Rice. This is the perfect display for consumers that want to buy a smaller amount of rice without having to pay a premium. It is such a great value that it makes a great impulse item. Faraon is the best extra fancy long grain rice in the market and this convenient display allows for labor savings that can be passed to loyal consumers. Faraon L.G, rice is 100% american rice cultivated in the Southern states of the U.S. with minumum broken grains.